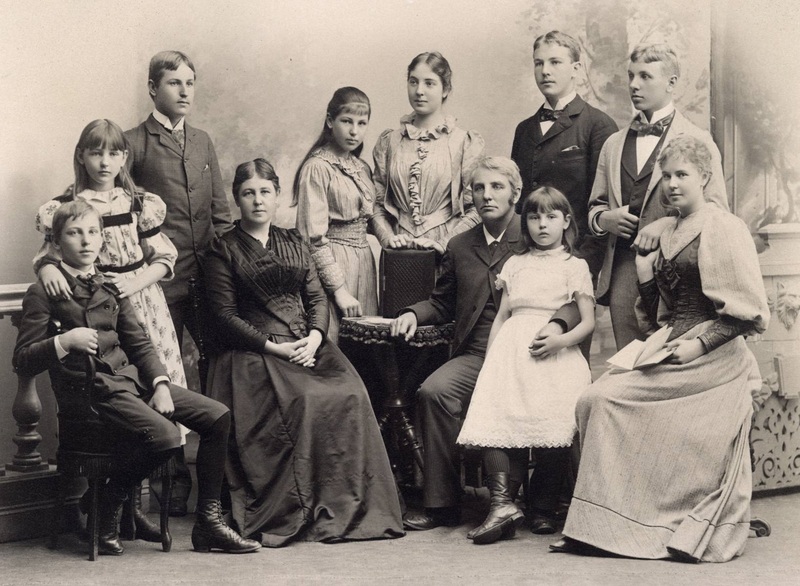 Richard Mead Atwater and his wife, Abby, are joined by their nine children in this family portrait. Nothing sinister. This man was both Mayor of Sea Isle City and President of the American Chamber of Commerce in Paris. He was the first true Sea Isle settler, and he became an internationally recognized expert in the field of glass technology. His name was Richard Mead Atwater. Atwater was born in Providence, Rhode Island, in 1844. He was raised there as a Quaker, and taught school where he met his future wife, Abby. He eventually attended Brown University and graduated with a Bachelor of Arts degree in 1865. Then in 1881, shortly after its founding, Richard Atwater discovered Sea Isle. Atwater is shown at the right in front of the Cape May Yacht Club. A tip of the hat goes to Cape May City for landing the Atwaters in Sea Isle. When Abby became seriously ill in 1880, she spent two pleasant months successfully recovering in Cape May. In prior years, the Atwaters had spent their summers in Providence – quite a commute for Richard. He then decided that the Jersey coast might be the perfect place for a warm weather family retreat. Abby’s Cape May experience had left him with a good feeling. It was a happy coincidence when Richard read that a man named Charles Landis was developing a place called Ludlam’s Island as a new seaside resort. And further, this island was the nearest point on the shore to his home, easily reached by an anticipated rail line. Atwater wasn’t deterred by the primitiveness of the place. He described it as “far from inviting – a low marshy stretch, flooded by stormy tides.” (He’d obviously paid a visit.) But he loved the idea of the beach and the ocean. He didn’t waste any time. He bought a beach lot at auction, had a house built, and moved in on July 6, 1881, just two months after he had purchased the property. 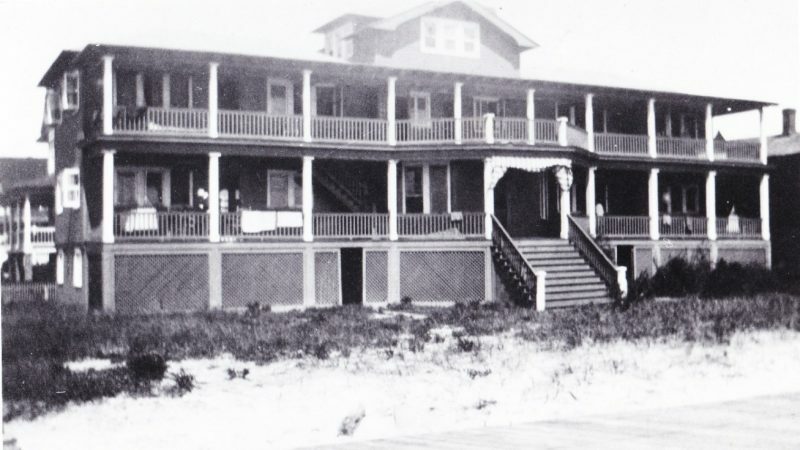 Atwater’s unique distinction was that his was the first permanent beach residence ever built in Sea Isle City. It was between 43rd and 44th Streets. He called it “the bungalow.” It was painted green with red trimmings. 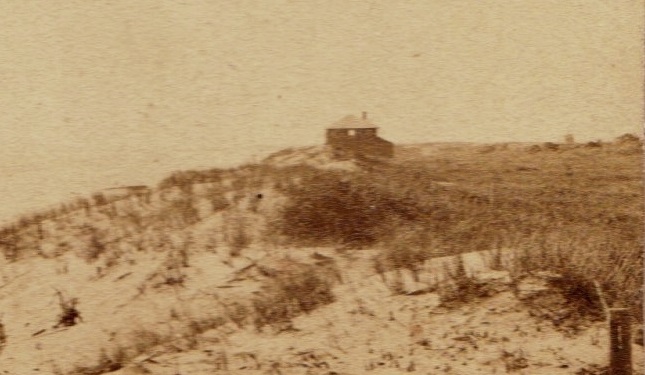 Sea Isle’s first bungalow, built by Atwater in 1881. In another first, Abby Atwater gave birth in 1883 to the first child born in Sea Isle: Marjory Garrison Atwater. The seasons passed pleasantly at the shore – until a violent storm hit on September 12, 1889. Atwater was stuck in Philadelphia. On the third day, he took the train to Ocean View, then said he crept on hands and knees over the West Jersey railroad ties until he reached Sea Isle. The bungalow was damaged but not destroyed, and the family was uninjured. But they decided to close up the house, not to return for nearly two decades. Much of the intervening time was taken up with European travel in connection with his profession – a career which spanned more than 40 years. He created a laboratory in Millville to develop techniques for testing glass materials and processes, many of which garnered patents. Of particular note was his development of the graduated cylinder, used by chemists throughout the world. His prestige was such that he was selected as a judge of glass at the 1893 Columbian Exposition in Chicago. After a presentation at the International Chemical Congress in Berlin, he was elected honorary vice president of the congress. He became director of the European Office of the John Harvester Company. He was elected president of the American Chamber of Commerce in Paris. Then, after six years in Paris, he retired. Atwater was 62 years old. The year was 1907. The family had just returned from Paris and settled on a farm in Chadds Ford, Pennsylvania, when they decided to gather again at the bungalow in Sea Isle. People came to visit by the trainload. Richard proceeded to build the large supplemental accommodation he had planned many years before and called it “the barracks.” In 1908, 28 families spent time with the Atwaters; twenty quarts of milk were delivered daily from the farm in Chadds Ford. 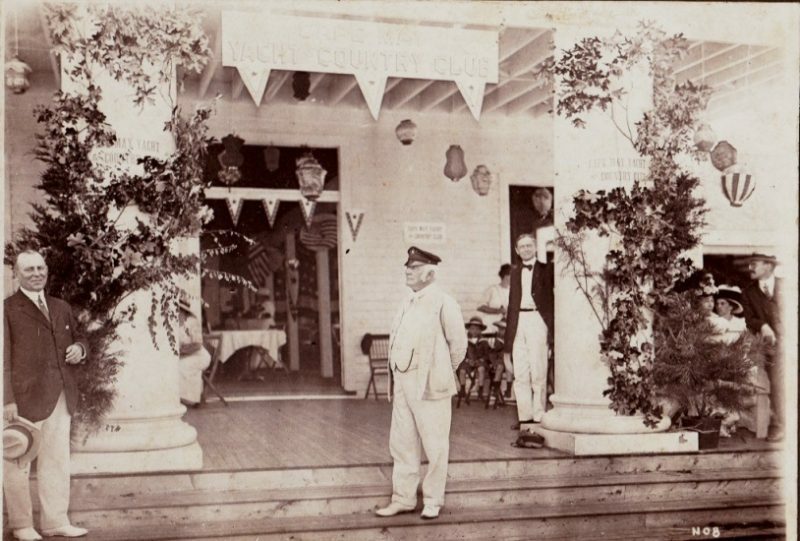 Atwater was elected a Governor of the Sea Isle Yacht Club, and in 1911, its Commodore – a post he held for nine years. Then, on May 20, 1913, Richard M. Atwater was elected to a four-year term as Mayor of Sea Isle City under the new commission form of government – the first time he had ever held public office. When his term came to an end, he admitted it was a welcome release. During his tenure as mayor, Atwater saw several improvements to the city. Among them: a new public school was built on 44th Street; a public library was opened in City Hall; and Commonwealth Avenue was completed to Strathmere. Plus, one not-so-good occurrence: the electric trolley stopped running forever on Landis Avenue. He declined a tenth year as Commodore of the yacht club. The Sea Isle family complex was opened by others in 1920-21, and Richard Atwater died a year later in Chadds Ford at the age of 78. His farm was eventually given to the state of Pennsylvania to become the Brandywine Battlefield State Park. This story was written by Bob Thibault, a volunteer at the Sea Isle City Historical Society and Museum. Extensive information about Richard Mead Atwater’s time in Sea Isle can be found in his own memoirs, a copy of which resides in the Historical Museum, courtesy of the family. Please visit the museum at 48th Street and Central Avenue. Access the website at www.seaislemuseum.com. Call 609-263-2992 with any questions. Current hours are 10 a.m. to 3 p.m. Monday, Tuesday, Thursday, and Friday.